Sign-up to reserve your spot 580-7290. 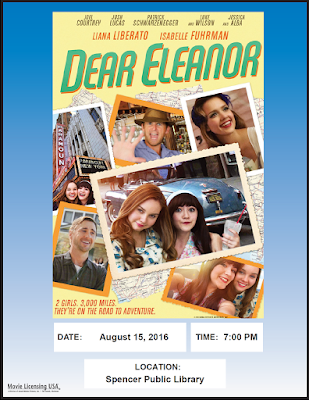 For August we will be watching the movie Dear Eleanor starring Isabelle Fuhrman, Liana Liberato, and Jessica Alba. 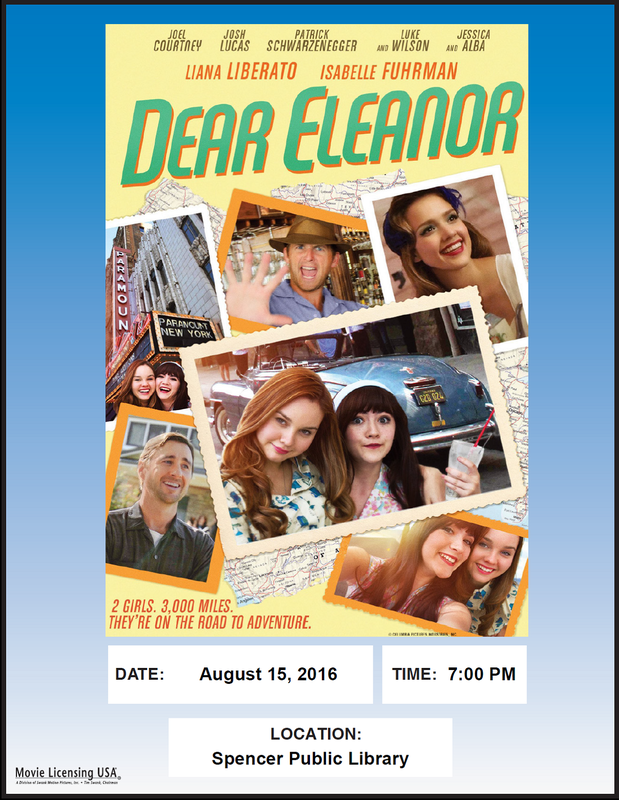 This movie will take you back to 1962 when two teenage girls embark on a cross country trip to meet their childhood hero, Eleanor Roosevelt. The movie is not only a hilarious joy ride, but an empowering personal odyssey that tests their friendship for the first time.